Did you know Champion Freight plants one native tree for every container we export? Together with SCOUTS New Zealand we're extending our conservation efforts even further. In addition to planting one native tree for every container we export, Champion Freight sponsors a Scouts Section Conservation Badge which requires Scouts throughout New Zealand to learn more about the environment and get involved. Full details of the initiative were announced today in the following media release. Champion Freight becomes SCOUTS New Zealand’s latest Award Scheme Champion. Champion Freight – a New Zealand owned and operated freight forwarding company specialising in international sea freight has become SCOUTS New Zealand’s latest Award Scheme Champion for the Scouts Section Conservation Badge. The Conservation badge requires Scouts to take part in local conservation events, learn about global warming and research local pest species. 'At Champion Freight we are passionate about the environment, and are excited to partner with SCOUTS New Zealand to bring this programme to life. Together we share a love for the great outdoors, doing our part to ensure its long-term vitality.' Murray Gain, Director – Champion Freight. The freight company has undertaken a two pronged sponsorship approach with the aim of supporting SCOUTS New Zealand whilst also offsetting their carbon footprint. Becoming an Award Scheme Champion is the second part after pledging to work with Scout Groups to plant one native tree for every container they export. 'Our Award Scheme is an integral part of Scouting, allowing youth across the country to work towards badges and awards that not only benefit the individual but also greater society' said Josh Tabor, Chief Executive of SCOUTS New Zealand. 'Our Conservation badge does just this and we are delighted to be partnering with Champion Freight on a theme of the award scheme which is close to every Scout’s heart'. 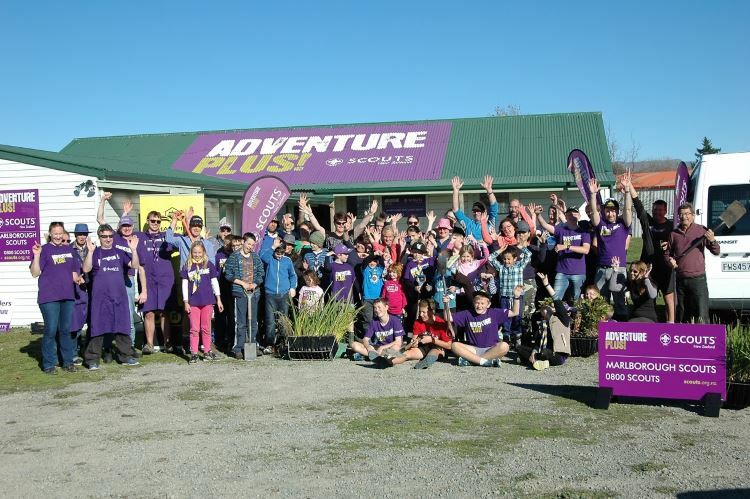 As a Programme Partner of SCOUTS New Zealand, companies can benefit from the reach of the National Award Scheme and Programme that is run by 5,000 volunteers and delivered to 15,000+ youth members across the country. Discover Champion Freight's unique Trees for Containers programme, which gives back to the environment in a practical and measurable way.